A theme in our Cobalt Redesign is to condense information so that we don’t repeat information on a page. So if we are displaying the same information twice—if two or more addresses are the same in our CRM, for example—Connections will condense this information when displaying it to you. Or if all three addresses are different, we will see them each on their own line. In this view, we condense addresses that are the same. And the address itself is a hyperlink to Google Maps for the address listed. When we click “Show all fields”, this “closed view” of the addresses will go away and be replaced with an “open view” of each separate address in its own section. Each part of the address will be editable. Additionally, when you edit a field, you will see immediate “reactive” changes to the data you are editing. For example, if you changed Street Address 2 to be “Suite 77,” you will see these changes reflected in the complete address above. 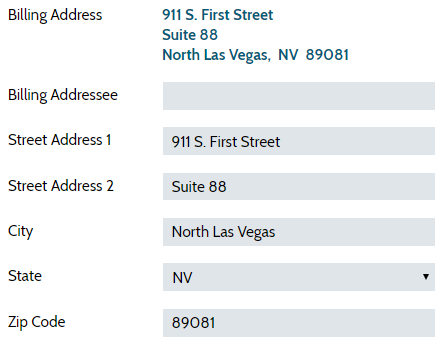 If you delete the info in Street Address 2, you will see that line removed from the address above. 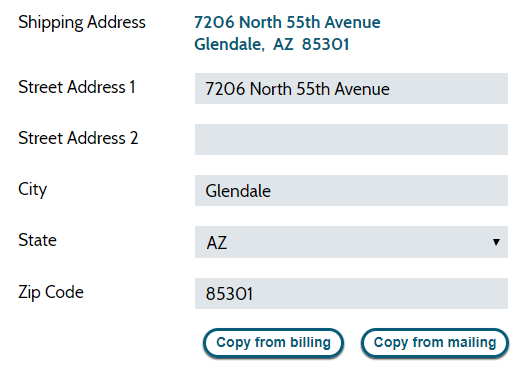 Note: Billing Address has one unique field: “Billing Addressee.” This was formerly called “Billing Contact.” It is a simple field where you can specify a department or person who will receive the bills. 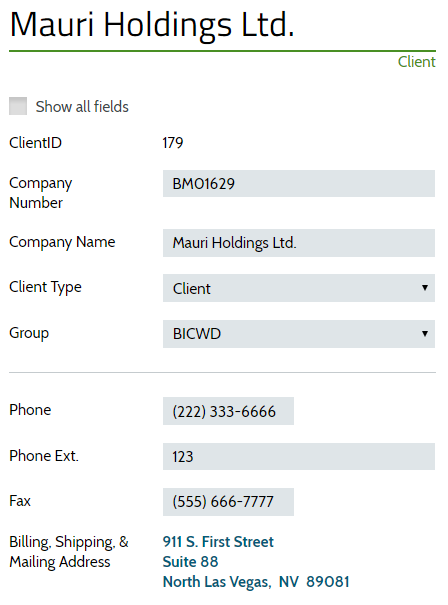 We no longer use the phrase “Billing Contact” because a Contact is a special thing in our application and this field is simply a name or title. Finally, when you “close” this view by unchecking “Show all fields” after making changes, these “client details” will refresh and you will see the updated data you just inputted. Partners previously relied on “Same as billing,” “Same as mailing,” and “Same as shipping” checkboxes to make their job of duplicating this data easier. In the Cobalt Redesign, users now have the option to click buttons that will allow them to mirror data from the other sections. When the buttons are clicked, you will see real-time reactive updates to the UI, the progress bar will change, and the data will be immediately saved. Users will see these themes throughout out Cobalt Redesign: condensed information, reactive changes, and clear, actionable buttons and inputs. We hope they help you get your job done in a more efficient manner! As always you can reach out to Mike Ziethlow at mziethlow@chsitech.com with any questions or feedback.